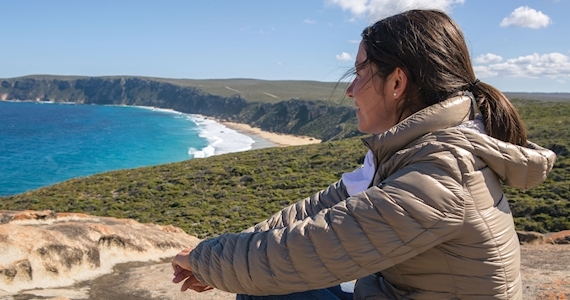 Hit the road and experience Kangaroo Island at your own pace in your own car. Drive to Cape Jervis, which is located 110km south of Adelaide and catch the SeaLink ferry to Penneshaw on Kangaroo Island. Then you can explore this great island and its wine, food, wildlife and spectacular scenery. Your accommodation will be at the very comfortable Vivonne Bay Lodge, centrally located on the island to be able to explore east and west, north and south! NOTE: Lead in price based on 4 adults sharing.